More than 100 delightful dishes to savour this fasting month at Silka Cheras restaurant. FOR a taste of traditional homemade food, head to Silka Cheras Kuala Lumpur’s Curvz Cafe, this Ramadan. 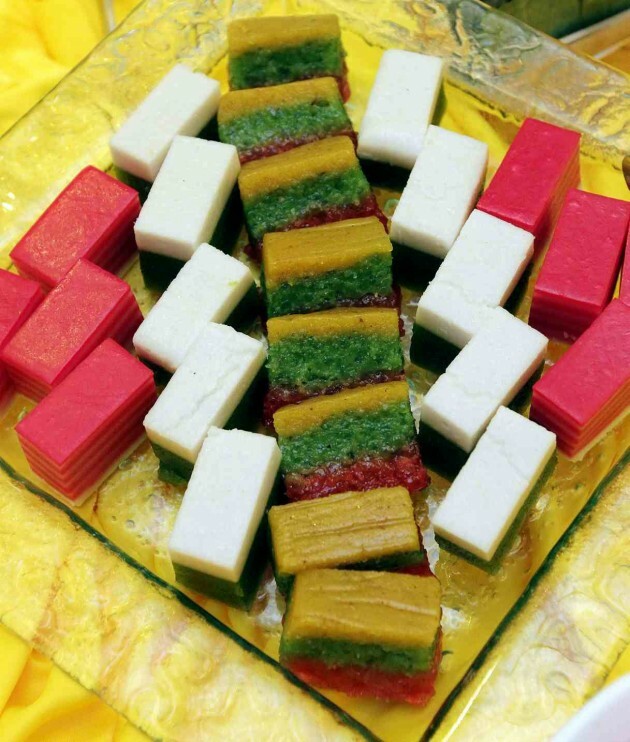 Chef Badrul Hisham has prepared a sumptuous spread themed “Juadah Kampung”. He honed his cooking skills at kenduri events in his hometown before furthering his studies at the Malaysian Association of Hotels Training and Education Center (Mahtec) in culinary arts, specialising in pastries and desserts. Badrul and his team have prepared more than 100 dishes for buka puasa. 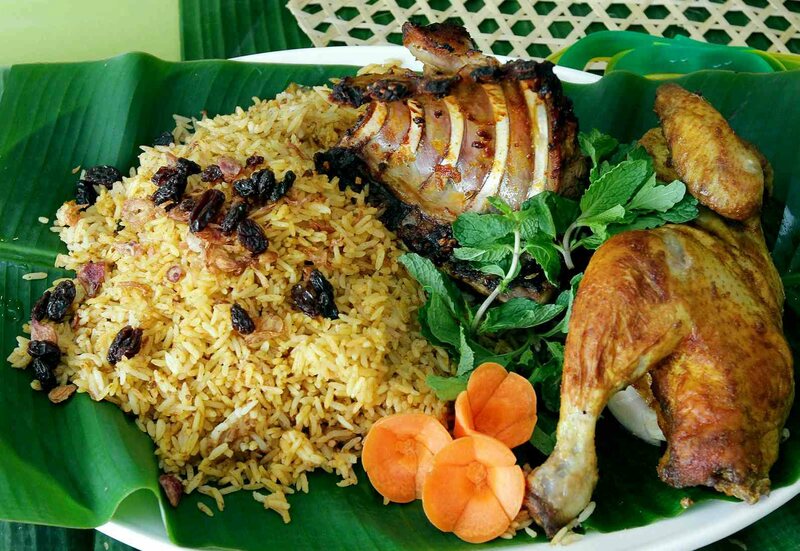 Briyani chicken and lamb with rice. 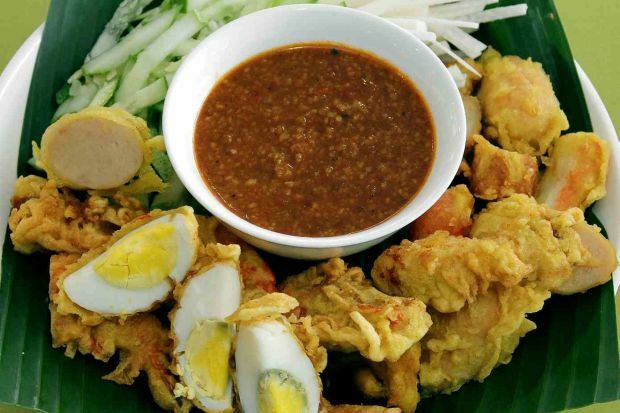 This writer began with an appetiser called rojak pasembur (top pic), a salad that originates from Penang consisting of prawn fritters, rice cake, and sweet and spicy peanutkuah. The kuah was the highlight of the dish as it brought out the wonderful flavours of the other ingredients when mixed together. Badrul said the secret was in roasting the peanuts until they were crunchy before adding them to the sauce. Soup Rusa was another memorable dish. Badrul said cinnamon sticks gave the soup its aroma and was boiled for four hours over slow fire. The red bean porridge also stood out and was tasty because of the gula Melaka, sweet corn and sago added to it. As for the main course, the coriander, dry chilli, and curry powder in Badrul’s briyani rice makes for a well-balanced and not overly spicy dish. Another highlight was the briyani chicken, which is marinated in cumin, cinnamon, coriander, onions and dry chilli powder for 12 hours before being roasted. The buka puasa buffet will be available until July 25, from 7pm until 10pm, daily. It is priced at RM69 nett per adult and RM35 nett per child. Reservations can also be made by emailing sales.cheras@silkahotels.com.